Summertime means lots of adventures for the Coller kids and this past weekend was the best one yet for our boys. 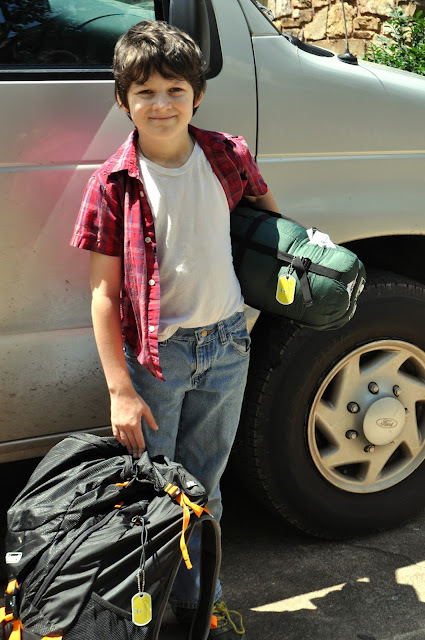 They attended their first Trail Life campout and had a great time. They came home hot, exhausted, and covered in ticks, (yuck!) but it was all worth it for the fun experience of being in the woods with their dad and their friends. 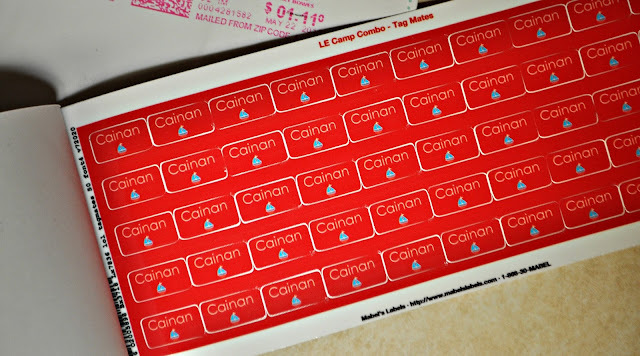 Last week, Cainan got this cool pack of personalized waterproof labels from Mabel's Labels---perfect for marking his belongings to make sure everything gets home safely. Cainan picked out the sailboat pattern from the Limited Edition Camp Label Pack collection. 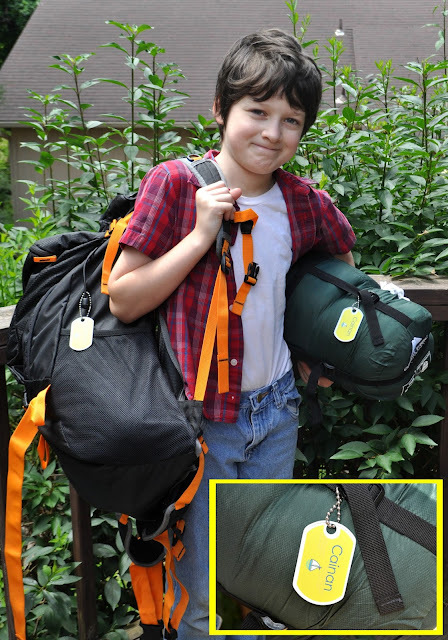 His label pack included 10 sticky labels, 24 mini name stickers, 8 shoe labels, 50 tag mates, and 2 metal bag tags with chains to attach them to bags or zippers. 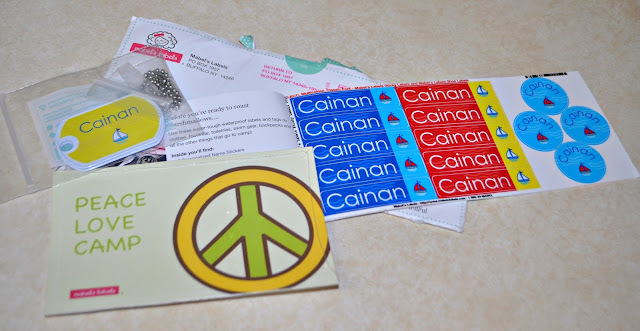 The bag tags are Cainan's favorite and he also got a little set of postcards to mail home a "hello" from summer camp. These small labels are great for clothing and personal items. Mabel's Labels had several themes and colors to choose from for boys and girls. I especially like that they're 100% guaranteed, as well as, dishwasher, microwave, and laundry safe. 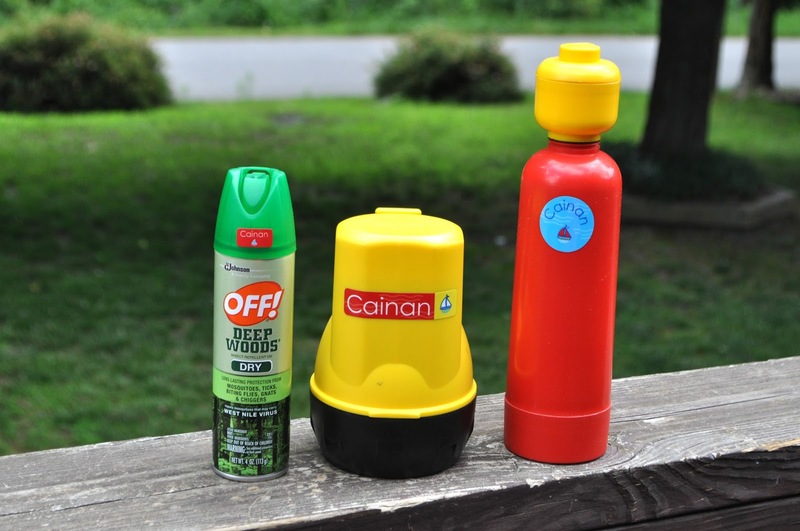 There were more than enough labels in the pack to personalize all his camping items and even some of his own stuff here at home. That's really important when you're one of nine kids! Want to try Mabel's Labels for yourself? Just visit the widget below to enter to win discounts or free items. Also, now through June 22, you can sign up for the newsletter and complete one social share to receive a coupon code. Visit MabelsLabels.com to see what discount you received. Join the Mabelhood community on Facebook, Twitter, Instagram. You can also visit their website to sign up to receive newsletters, a great resource for all things mom-related. This is a great personal gift for any kid!